Experienced advisers help customers plan the relocation. Our personnel will check utility requirements, transportation routes and provide guidance in advance. Shimadzu experienced field engineers disconnect the utilities, disassemble the instruments at the original site, and properly reinstall them at the new site, providing OQ before and after the move to make sure that the customers’ important assets are kept in the same operating condition. 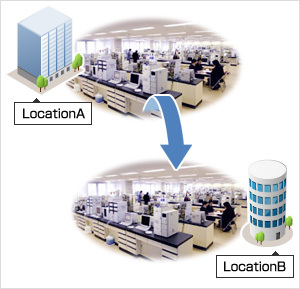 Shimadzu offers a single instrument relocation to total laboratory relocation. Providing complete peace of mind through our service to you.